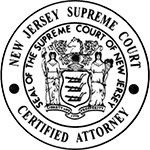 I am designated as a certified criminal trial attorney by the Supreme Court of New Jersey. I received my initial certification from the New Jersey Supreme Court in March, 1999 and thereafter re-certified in March, 2006 and March, 2012. 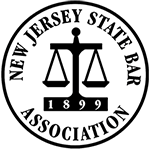 Few New Jersey attorneys are so recognized as the certification requirements are rigorous. 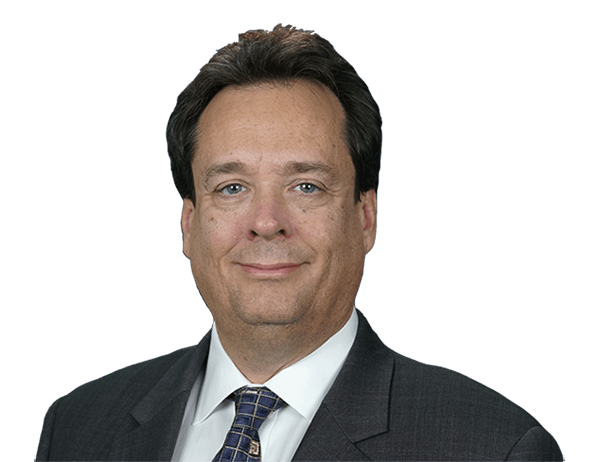 If you are facing the loss of personal freedom, contact my office to discuss your case as I personally handle all cases I accept for representation. The great trial lawyer Daniel Webster said, “Justice is the greatest concern of man on earth." I believe there is no greater professional calling than to stand as a lawyer in front of a jury and breathe life into our Constitution, our Bill of Rights, statutory law and common law by asserting and defending the rights of ordinary citizens who are accused of a crime on the federal or state level. The Criminal Defense Attorney is a vital part of our system of justice and the protection of individual rights and freedoms. Our system of justice, however, is adversarial and results in frequent public misunderstanding of the advocacy system. In spite of the misunderstandings, the Criminal Defense Attorney’s protection of individual rights against a federal or state criminal charge is a key element in the perpetuation of our American freedom which stands as the model for freedom for the rest of the world. I traveled to the Czech Republic as a Scholar of the United States Fulbright Commission to promote the Rule of Law including the right to a jury trial. I taught United States Criminal Practice and Procedure to a group of lawyers struggling to implement democratic reforms in their own country. 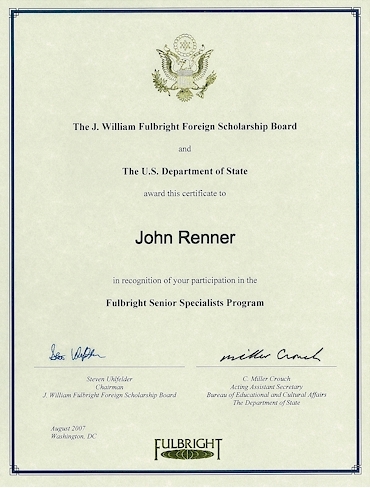 Serving as Fulbright Scholar in the Czech Republic reinforced my firm belief in the vital role of the Criminal Defense Attorney in our American system of justice and the protection of individual rights. Are You Facing Federal or New Jersey State Criminal Charges? If you are facing a Federal criminal charge or State of New Jersey criminal charge, you are probably facing the most difficult situation in your life. It is crucial that you obtain experienced, knowledgeable and aggressive New Jersey legal counsel. Personal freedom is one of the most important rights afforded to all citizens of the United States. 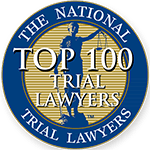 The potential loss of personal freedom from a criminal accusation on the Federal or State of N.J. level requires an aggressive defense where the client is involved in every aspect of the case. Because you are an integral part of your defense, it is vital that you are informed of how a felony case proceeds through the federal or state system, the evidence against you and all possible defenses to the accusation including practical and tactical considerations. I work closely and personally with all clients to ensure that strategy and decision making involve the direct participation of the client. As soon as you come into contact with the federal or state legal system, you need immediate assistance from a NJ criminal lawyer. Prompt assistance can mean the difference between keeping or losing your personal freedom. I have the skills and experience to provide an aggressive defense. I invite you to contact my office to review your case. It can be confusing when trying to choose an attorney to meet your legal needs. You may have never needed an attorney before, so you ask a friend to refer you to someone or you look in the Yellow Pages where hundreds of attorneys are listed. But how do you choose one attorney over another and how can you be sure that you will choose the right attorney to handle your particular legal problem? On September 8, 2008 the defendant was stopped for speeding after the Stalker Lidar device indicated the defendant was driving at 63 miles per hour in a zone with a speed limit of 45 miles per hour. The defendant submitted requests for discovery including copies of the citation, the officer’s notes, a description of the Stalker device, a complete history of the officer’s training on the device, manufacturer and state training manuals for the device, and the officer’s logbook revealing tickets issued the day of the defendant’s stop. A municipal judge denied most of the defendant’s requests, but the defendant’s NJ criminal attorney moved for reconsideration and argued improper discovery procedures. During trial, the judge denied the defendant’s request to admit a Department of Transportation engineering report and speed survey on the road where the defendant had received his ticket. The defendant appealed. The Appellate Division overturned the speeding conviction and stated that the speed gun in the case had never been found scientifically reliable by the courts. Furthermore, the Appellate Division ruled that the defendant was entitled to almost all the information his New Jersey criminal attorney requested during discovery. The occasion depicted in this Rockwell painting is the 1858 murder trial of an Illinois man named William "Duff" Armstrong. Armstrong was accused of murdering James Preston Metzker with a “slung-shot" - a weight tied to a leather thong, sort of an early blackjack - a few minutes before midnight on August 29, 1857. Lincoln was a friend of the accused man's father, Jack Armstrong, who'd just died, and so he offered to help defend young Duff Armstrong, without pay, as a favor to Jack Armstrong's widow. The principal prosecution witness against Armstrong was a man named Charles Allen, who testified that he'd seen the murder from about 150 feet away. When Lincoln asked Allen how he could tell it was Armstrong given that it was the middle of the night and he was a considerable distance away from the murder scene, Allen replied, "By the light of the moon." Upon hearing Allen's testimony, Lincoln produced a copy of the 1857 edition, turned to the two calendar pages for August, and showed the jury that not only was the moon in the first quarter but it was riding "low" on the horizon, about to set, at the precise time of the murder. There would not have been enough light for Allen to identify Armstrong or anyone else, said Lincoln. The jury agreed, and Duff Armstrong was acquitted.